Known as the rooftop of the world, Tibet is a region of breathtaking beauty. Home to both the tallest mountain and the highest and largest plateau in the world (spanning 2.5 million square kilometers) Tibet is an adventure lover’s paradise. Stunning mountain peaks, lush grasslands, yaks, horses, and dizzying altitudes are just a few of Tibet’s defining features. Not to mention the ornate Buddhist temples, monasteries, and stupas that dot the landscape, and, of course, the fact that Tibet is the holy land of Buddhism. Coming from the flashy modern cities of Han (Eastern) China, traveling in Tibet feels almost like stepping back in time. The wilderness is vast and open, the sky is blue, and the people are steadfast in their traditions. Despite China’s attempts at assimilation, Tibetan people remain as they’ve always been, Tibetan. In many ways, Tibetans and Chinese, while controlled by the same government, couldn’t be more different. To visit Tibet is to experience the antithesis of China. Tibetans are in touch with nature, live off of the land, and raise yaks as their primary source of food and income. Many Tibetans remain nomadic, often moving two or three times a year, yaks, horses, and dogs in stride to optimal pasture lands. While Tibet has been a part of China for over 50 years now, climbing up onto the high plateau it still very much feels like you’ve entered another country. 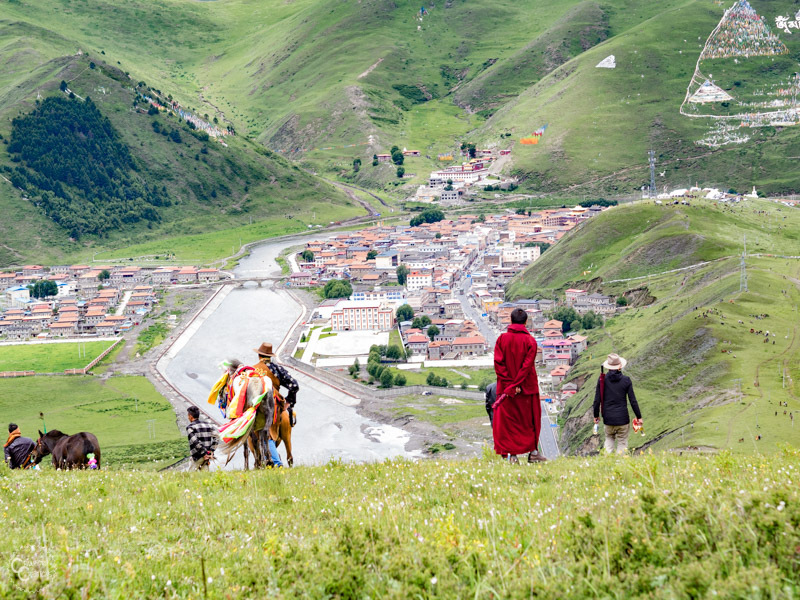 Awe-inspiring scenery, beautiful temples, and monasteries, rich culture, yaks, I mean really, need I say more? Tibet truly opens your eyes to another way of life. Learning about the Tibetan nomadic culture and religion is nothing short of fascinating. If you enjoy experiencing a different way of life and learning new things then you will love Tibet. Tibet travel will push your boundaries further than you’ve ever imagined, both physically and mentally. Life on the high plateau is not easy. Most of the Tibetan region is above 4000 meters (13,000 ft.) and the lack of oxygen makes everything harder. You’ll be forced to slow down and work for every step, but when you crest that mountain and the entire valley is laid out before your eyes it’s a feeling like nothing else in the world. Traveling in Tibet will leave you feeling like you can tackle any mountain life throws at you. Tibet really is a world of its own. If you’re looking for a unique travel experience full of adventure and culture, then Tibet is the place for you. 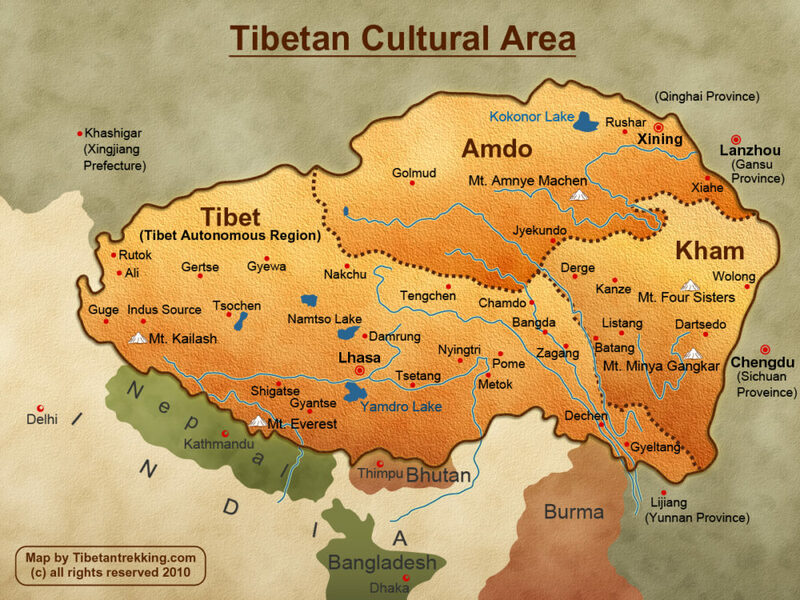 Tibet is so much larger than just the area marked Tibet you see drawn on the map. When China took over Tibet in 1960, two of the three Tibetan regions were incorporated into the existing Chinese provinces of Sichuan, Yunnan, Qinghai, and Gansu while the region containing the capital of Lhasa was formed into an entirely new province called the Tibet Autonomous Region. Our road trip will take you through Kham Tibet. This is one of the most scenic, and easy to get to areas of Tibet. 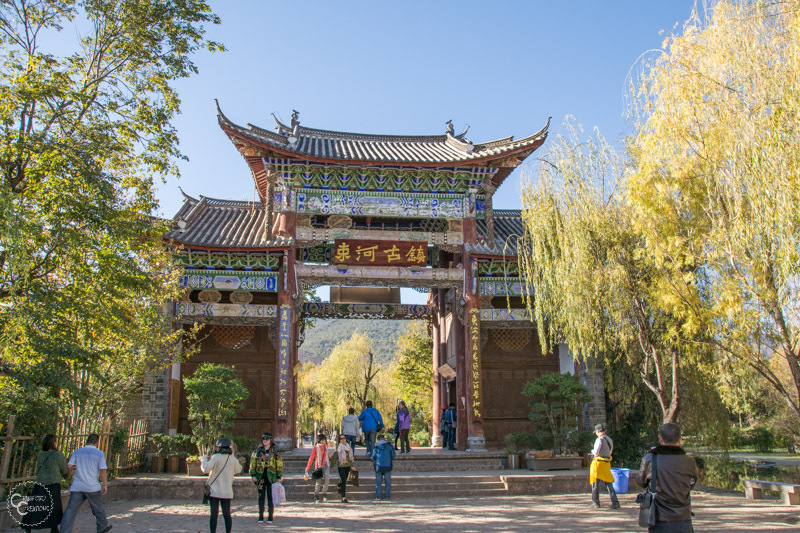 As Kham Tibet is now a part of Yunnan and Sichuan provinces, foreigners can travel to this region completely independently on a normal Chinese tourist visa. Amdo Tibet consists of most of Qinghai Province and some of northern Sichuan and southern Gansu provinces. This area is mostly grasslands, and although it is absolutely beautiful, it’s a bit harder to travel through than Kham. 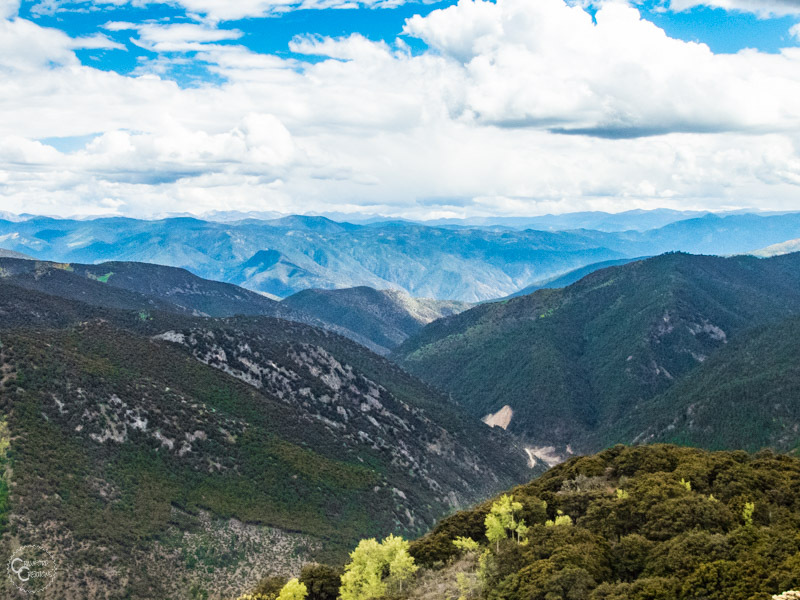 Since Amdo Tibet is now a part of Qinghai, Sichuan, and Gansu provinces, foreigners can also travel to this region independently on a normal Chinese tourist visa. The Tibet Autonomous Region is the province marked on a map of China as Tibet. It contains the beautiful capital city of Lhasa (previous home of the Dalai Lama) as well as lots of stunning temples, monasteries, and of course, the tallest mountain in the world, Mt. Everest. Travel within the Tibet Autonomous Region (TAR) is extremely restricted to all foreigners. You can not travel to the TAR independently and must be with a tour group at all times (with a few exceptions within the city of Lhasa). 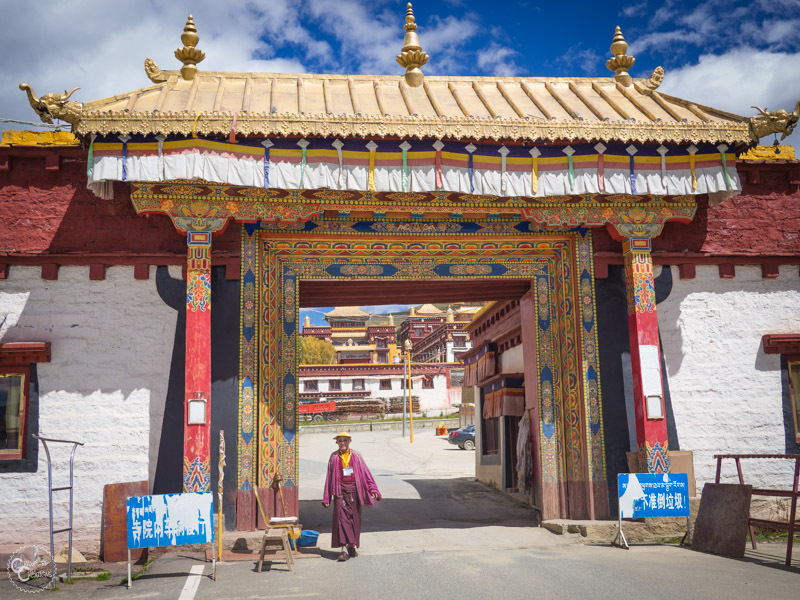 In addition to booking a tour to travel in the TAR, you are also required to secure a Tibet Travel Permit as well as a Chinese Tourist Visa to travel to Tibet (if you’re entering the region from Mainland China). This makes travel to the TAR both cost and time prohibitive. Can You Travel Independently In Tibet? To answer every backpacker’s age-old question, yes! You absolutely can travel to Tibet without a tour. As long as you stay within the Kham and Amdo regions located in Sichuan, Yunnan, and Qinghai provinces. Contrary to popular belief (and my own at one time) the Tibetan regions of Sichuan and Qinghai provinces are in fact “real” Tibet, despite their lack of a label as such on the map. You are not skimping out on visiting Tibet by not going to the Tibet Autonomous Region! The locals in the Kham and Amdo regions will literally tell you, “Welcome to Tibet!” when you go there. It blew my mind the first time as I thought I was just in a culturally Tibetan area of China and not actually in Tibet. It didn’t take me long to realize that I was, for all intents and purposes, in another country. For real, nothing looked, sounded, tasted, or smelled like China. I couldn’t understand or read the language, I didn’t recognize any of the food, and I didn’t know the culture. The only thing that stayed the same once I entered Kham Tibet was the currency. To sum it up, think of Tibet like a country within a country. It’s a part of China, yet not a part of China at the same time. Kind of like Hong Kong. One country two systems, as they like to call it. The best gateway cities leading to the Tibetan Plateau are Lijiang, in Yunnan Province, Chengdu, in Sichuan Province, Xining, in Qinghai Province, and Lanzhou in Gansu Province. To get to any of these cities you can take a domestic flight from within China. To book domestic flights in China use trip.com, Ctrip’s new English site, and China’s best online booking site. Ctrip’s website is all in English, it’s super easy to use, and they have great customer service. Note, this post is not sponsored by Ctrip or affiliated with them in any way. We just love their service and have booked virtually all our flights and hotels in China through them for the past 3.5 years. From any of the above cities, you can easily take any form of overland transport into Tibet. Also, a quick note on booking flights in China. In China, they book flights one-way, not round trip. This means that there’s no extra cost for booking multiple one-way tickets rather than a round-trip flight like there are in most countries. This makes it really nice when you want to start and end in two different places like you will on this road trip. Since we’re about to dive into the road trip portion of this post I figured now would be the time to mention that foreigners can NOT rent a car in China. Why? Because China doesn’t recognize international driver’s licenses. In order to drive a car in China, you must have a valid Chinese drivers license. So, as with pretty much everything in China, this road trip is going to be a little unconventional. Our itinerary focuses on traveling by bus from each town, which is the cheapest and easiest option available to everyone. However, there are some alternative modes of transport you can use if you want. 2. Hire a private car & driver. While hiring a car and driver gives you way more freedom than if you took the bus, it’s also astronomically more expensive. Plus you’ll have to deal with negotiating with drivers in Chinese, which is never particularly fun. While foreigners can’t rent a car in China, you can rent a motorbike. We’ve never done this so I can’t speak to the cost, but you would definitely have to start and end in the same place to able to drop off the bike at the end, which limits your road trip options a bit. 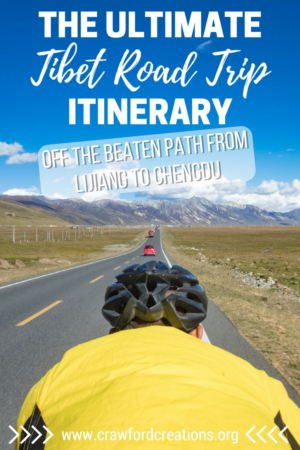 This is how we road-tripped from Lijiang to Chengdu, and it was incredible! 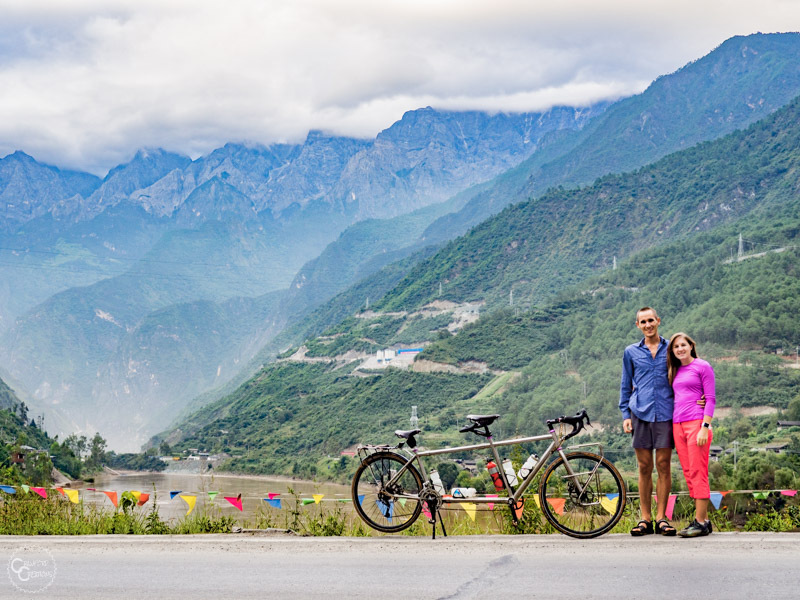 If you have the time and the fitness level you should definitely consider biking this route from Lijiang to Chengdu. It is stunning, and on a bike (or a motorbike) you can stop as many times as you want on the way for pictures or breaks. The downside to road tripping by bicycle is that it’s slow. 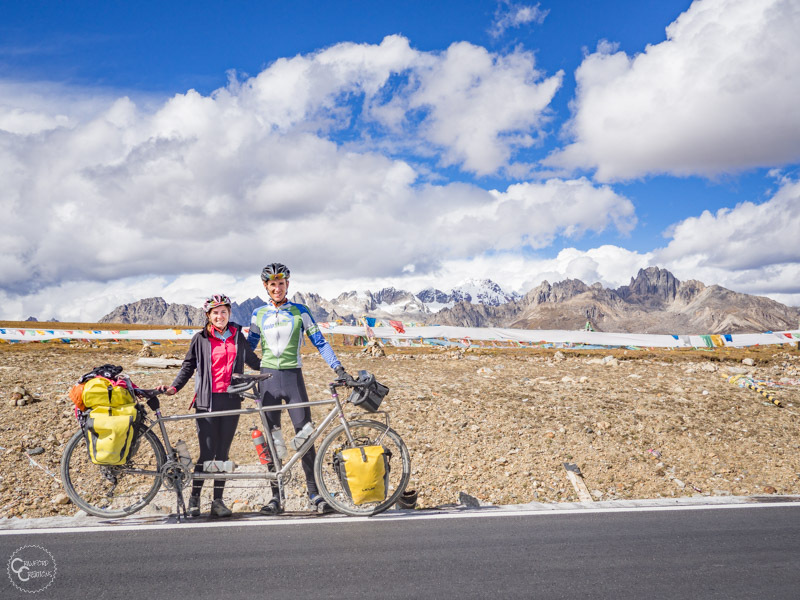 We were actually able to ride from Lijiang to Chengdu in two weeks by bicycle, but, we cut out two of the destinations on this itinerary and were unable to stay anywhere for more than 1 night since we were on such a tight schedule. 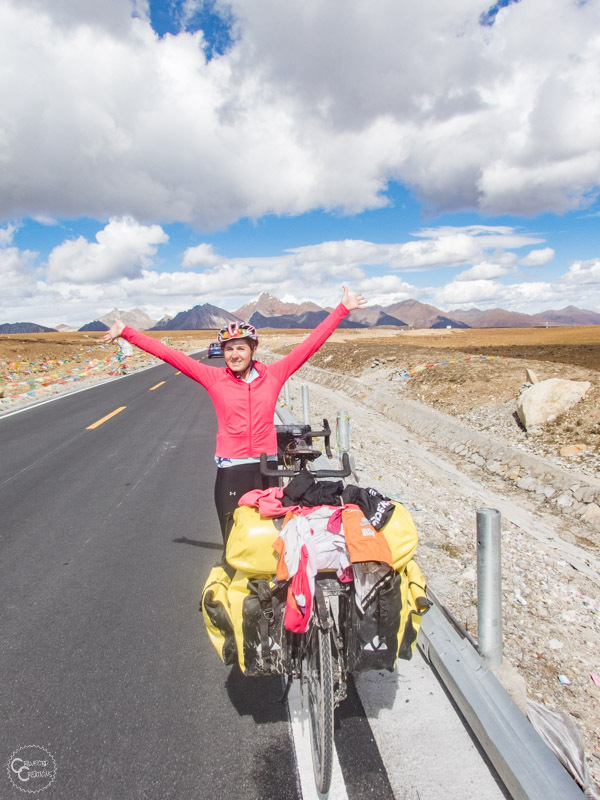 Our advice for riding a bicycle from Lijiang to Chengdu would be to give yourself more time. You’ll probably need 3 weeks instead of 2 to actually do everything on this itinerary and get to explore all the places you stop in. The best time to travel to Tibet is in late spring and early fall during the months of April – May, and September – October. This is when you can catch the best warm, sunny weather. Summer is the rainy season in Tibet (June – August) and it is a damn cold rain when it rains, and winter is just super dry and bitter cold. You’ll definitely want to avoid traveling in Tibet during the month of March when the entire Tibet Autonomous Region, as well as sometimes the Kham and Amdo regions, are closed to foreign travelers. The region closes due to some very politically sensitive anniversaries that take place during this time. Phew, man Tibet travel can be confusing, but I hope that answered a lot of your questions about traveling in Tibet. Now that we’ve got that over with, let’s grab our backpacks and hit the road through Kham Tibet! This itinerary will take you overland around 1500 kilometers from the city of Lijiang in Yunnan Province to the city of Chengdu in Sichuan Province. The route will take approximately 2 weeks to complete. This is the minimum amount of time you need to a lot to complete this itinerary, although the time frame can always be extended or shortened by spending more or less time in each place. The best way to get to Lijiang is by plane. You can find a domestic flight to Lijiang from anywhere in China on trip.com. Lijiang is one of our favorite cities in China. It’s super historic, with multiple old towns and walking streets and the whole town is surrounding by huge rocky mountains. 1. Wander through Shuhe Old Town. Admission is completely free to Shuhe Old Town. The town is packed with shops and restaurants all beautifully decorated in traditional Chinese style. 2. Walk around Lijiang Old Town. Beware when you visit Lijiang Old Town that they charge a very steep admission fee of 70 RMB. 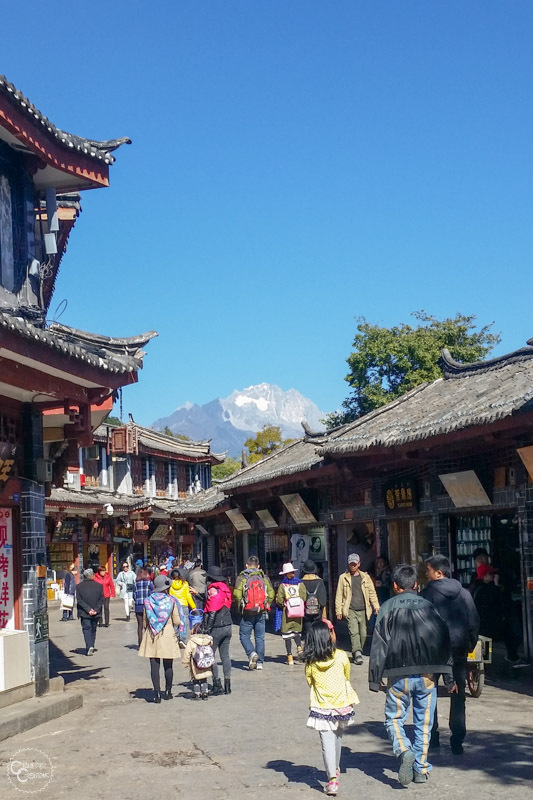 While Lijiang Old Town is much bigger than Suhe Old Town it’s also way more commercialized and you’ll definitely get haggled with people trying to sell you things. There is a great view over the entire old town from the top of the hill, although honestly, I’m not sure it’s worth the price of admission. 3. 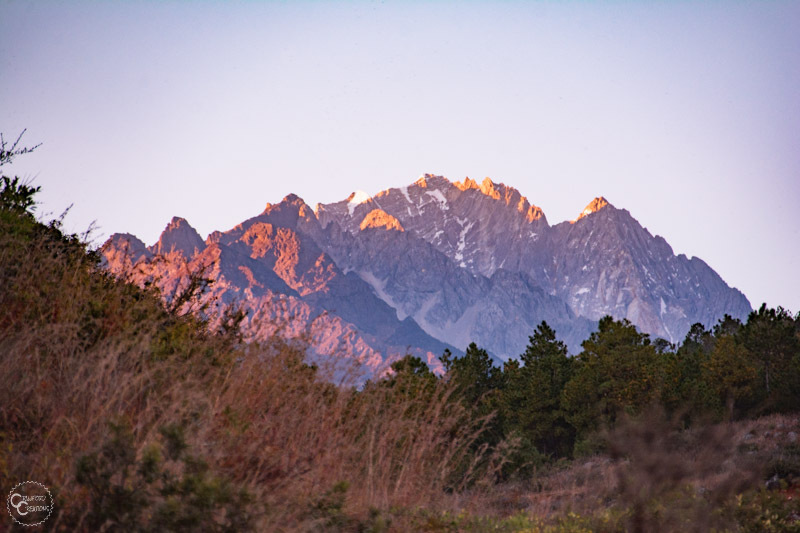 Visit Jade Dragon Snow Mountain. Jade Dragon Snow Mountain is the snow-capped rocky peak that looms over Lijiang. You can’t miss it when walking around town. 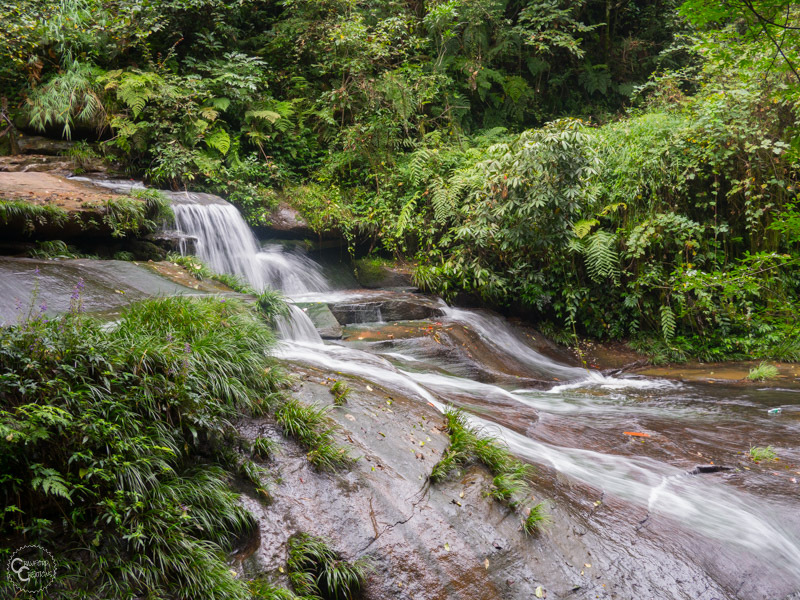 The base of the mountain is a beautiful park in itself with colorful lakes, cascading pools, and waterfalls. Supposedly, the only way up to the top of Jade Dragon Snow Mountain is to take the cable car (for a hefty fee of 170 RMB per person), but we’ve heard there is an unmarked trail that follows the cable car to the top. If you can find it and would rather hike, the trail starts near the lower station of the cable car and ends at the upper station. Jade Dragon Snow Mountain rises to a peak of 5596 meters or 18,360 feet. The mountain is covered in snow all year round and has multiple glaciers. The cable car ascends to 4506 meters (14,783 ft.) with a walkway that ascends another 174 meters further up the mountain to 4680 meters (15,354 ft.). Portable oxygen canisters are available for purchase at the cable car station before going uphill to combat altitude sickness. Take a bus from the Lijiang Bus Station to Tiger Leaping Gorge. Buses leave every day at 8:30 am and take 1.5 hours to reach the gorge. You’ll want to book tickets for the bus to Qiaotou, which is the town at the entrance to the gorge. Bus tickets to the gorge cost 24 RMB per person. Buy tickets from the ticket office for 65 RMB/person, and then proceed to the Upper Gorge, located 4km from town along the river road before starting your hike. The Upper Gorge is included in your ticket price and has a series of really cool boardwalks that run right beside the roaring rapids of the river. To get there you can either hitchhike or take a taxi. After exploring the Upper Gorge, head back into town and walk through the entrance of the gorge towards the Upper Trail. The trail is 15km long with multiple guest houses along the route. Follow the marked trail and hike either 2 hours to Naxi Guest House or 5 hours to Tea Horse Guest House. Spend the night in one of the above guest houses on the trail. 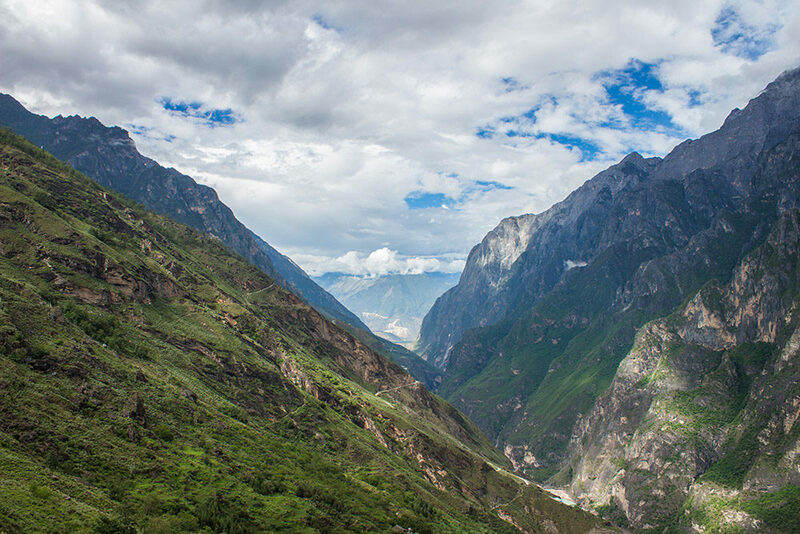 Click here for a detailed guide to hiking Tiger Leaping Gorge. Continue your hike from either Naxi or Teahorse Guesthouse to the end of the Upper Trail. The trail ends on the main road directly in front of Tina’s Guesthouse. You can buy your bus tickets to Shangri-La from the guesthouse you spend the night at. Buses leave at 3:30pm every day from Tina’s Guesthouse at the end of the trail. Take the bus to Shangri-La at 3:30pm. The ride will take around 2 hours. Shangri-La is a Tibetan town that was re-named (Its original name was Zhongdian) after the fabled Tibetan paradise from the book Lost Horizon. And it really is a paradise. Located in the high mountains on the cusp of the Tibetan Plateau, the town sits amid grassy hills surrounded by snow-capped mountains. Guishan Temple is a beautiful golden temple located in the old town square. Next to the temple is Zhuangjing Tong, the world’s largest prayer wheel. The wheel stands 21 meters high and contains 100,000 smaller prayer wheels. Songzanlin Monastery is a stunning monastery modeled after the Potala Palace in Lhasa. It’s an absolutely beautiful place to visit in both scenery and culture, but the admission price is steep at 115 RMB per person. Supposedly you can visit the monastery for free if you hike 30 minutes from the left side of the ticket office up the hill and down to the lake behind the monastery. 3. Wander through the old town. Shangri-La old town is a beautiful maze of cobblestone streets and wooden buildings lined with shops, restaurants, and guesthouses. Pudacuo National Park is a 1300 square kilometer (500 square miles) national park located 25 kilometers east of Shangri-La. The park’s main attractions are Bita Lake Nature Reserve and Shudu Lake Scenic Area. The entrance fee for Pudacuo National Park is insanely overpriced at 258 RMB, but you can actually get to Bita Lake for free by taking one of the many other free trails down to the lake outside of the park entrance. Napa Lake is a seasonal lake located 7 kilometers northwest of Shangri-La. The lake is full between June and October and then gradually dries up to become a wetland from late fall through spring. Napa Lake is home to many rare species of birds as well as many herds of horses, yaks, and sheep. Stay overnight again in Shangri-La. Buy your bus tickets to Daocheng from the Shangri-La bus station today to make sure you get a seat for tomorrow as there is only one bus per day from Shangri-La to Daocheng. This is the only super long travel day of the trip, topping off at 12 hours on the bus. The ride is absolutely gorgeous, running straight through the Shangri-La Gorge. Make sure you buy your tickets ahead of time as there is only 1 bus per day from Shangri-La to Daocheng. Bus tickets cost 150 RMB per person. Occasionally the direct bus to Daocheng is canceled due to landslides during the rainy season (June-August). If this happens, you’ll have to go a more roundabout way by taking a bus from Shangri-La to Derong (5 hours), then a minibus from Derong to Xiangcheng (4.5 hours). You’ll have to stay the night in Xiangcheng before continuing on to Daocheng in the morning, another 4 hour ride. This route takes longer, but the road conditions are way better than the direct route between Shangri-La and Daocheng. 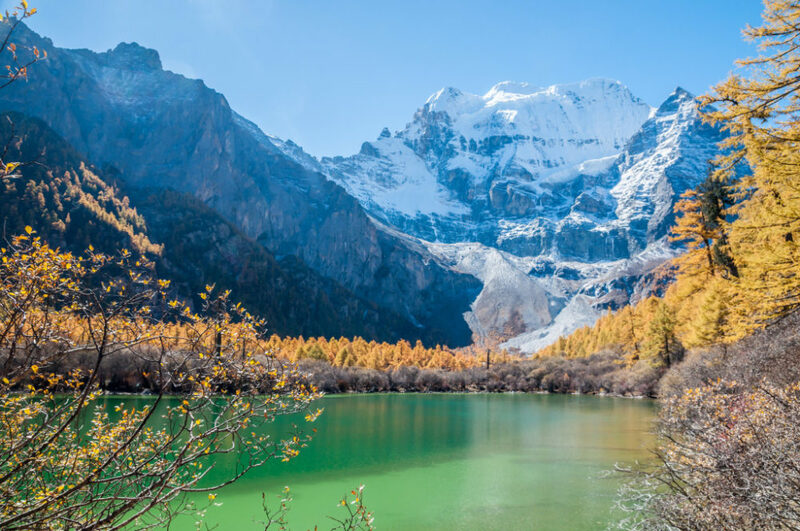 Daocheng’s main attraction is the Yading Nature Reserve located a 1 hour drive away from Daocheng. Take a morning shuttle bus from Daocheng to the park entrance. There is a small town, confusingly also named Shangri-La, right outside of the entrance to the park where you can stay to really maximize your time at the park. You can also camp inside of the park if you want. Yading Nature Reserve is one of the most beautiful parks in all of China. Covering 1344 square kilometers (520 square miles), the park contains 3 holy peaks that have been worshiped by the local Buddhists for over 800 years. Yading Nature Reserve is absolutely stunning, with multiple colored lakes and giant rocky peaks. There are tons of trails inside of the park, both day hikes and longer multiple day routes. 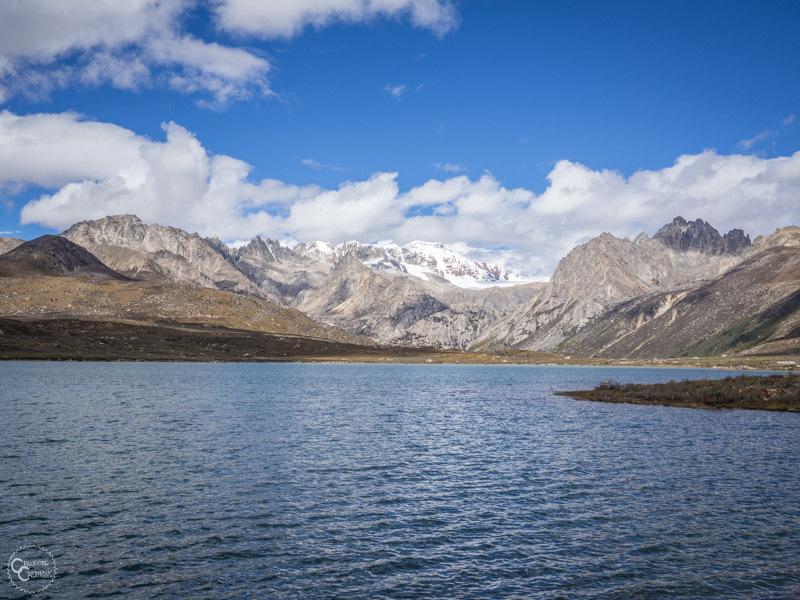 Click here for a complete guide to visiting the Yading Nature Reserve. Stay overnight in Yading Village or camp inside of the park. Spend the morning and early afternoon exploring Yading Nature Reserve before traveling to Litang. From the Yading Nature Reserve, first catch the bus back to Daocheng and then take a minivan to Litang. 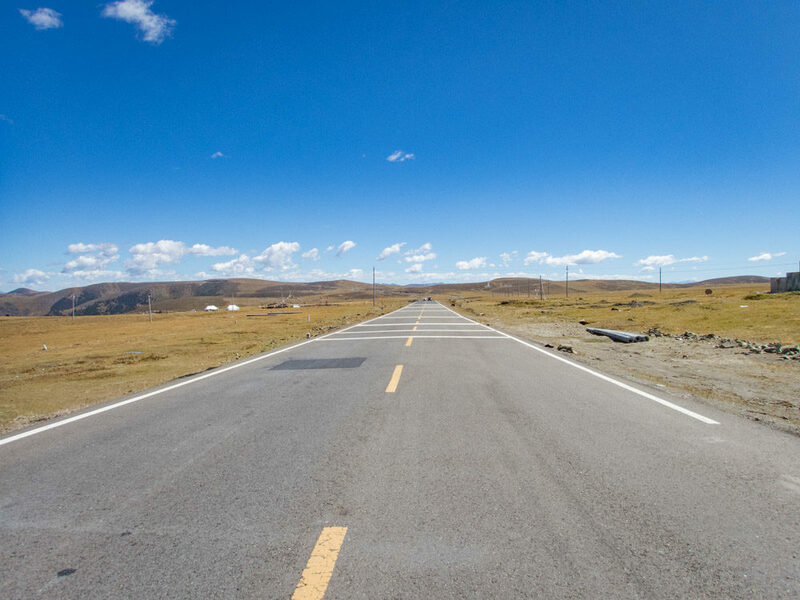 It takes 2.5 hours to get from Daocheng to Litang, or 3.5 hours from Yading Nature Reserve. Litang is known as the world’s first high city and is a Tibetan city located at 4000 meters of elevation. 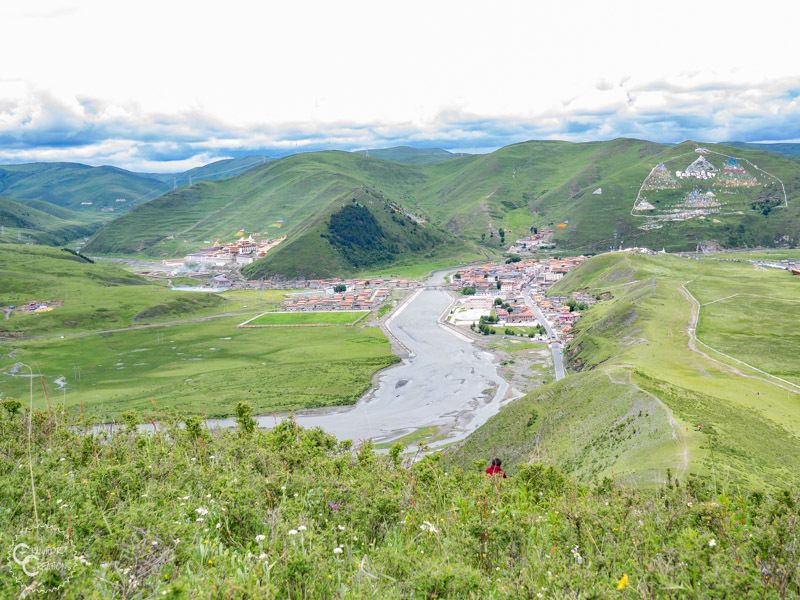 It’s a mostly ethnic Tibetan city located in the middle of the grasslands on the Tibetan Plateau. 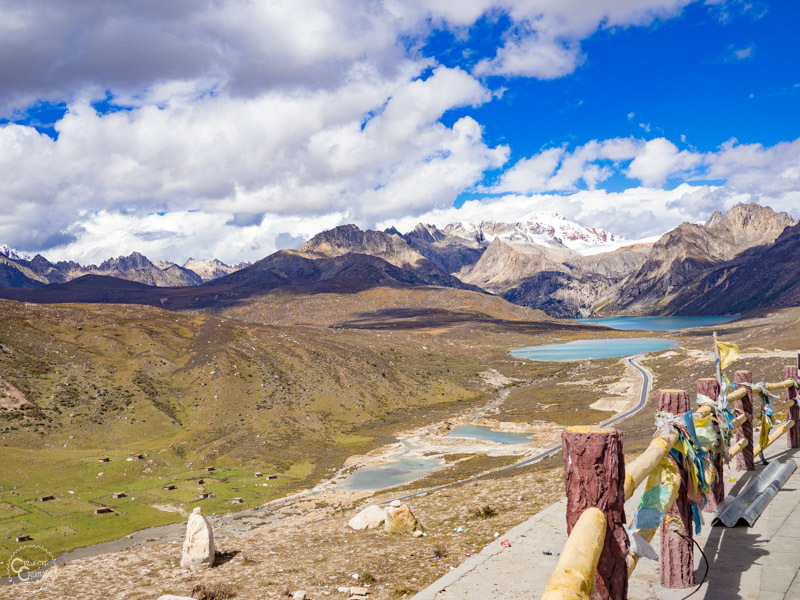 Use the morning today to explore Litang before getting back on the road to go to Xinduqiao. This is really the only cool thing to do here, but it’s definitely worth checking out. The monastery is located on a grassy hillside just outside of town. The best way to get to Xinduqiao from Litang is to take a minibus. Your hotel or hostel in Litang will be able to tell you where to get catch the bus. The ride will take 4 hours. Have a relaxing morning in Xinduqiao after all the long travel and adventure packed days in Yading and Litang. 1. Take a walk in the grasslands. There aren’t any tourist attractions in Xinduqiao, but the scenery surrounding the tiny little town is an attraction in itself. Xinduqiao is totally off the beaten path, and it’s often described as a photographer’s paradise with rolling grassy hills and winding creeks everywhere. Sometime In the afternoon, travel to Tagong. Take a minivan or private taxi from Xinduqiao to Tagong. The ride is just a short 1 hour through the grasslands. Tagong is one of those places that will forever hold a special place in my heart. You truly can’t get any more authentically Tibetan than Tagong. The town is so quaint, there are no high rises in sight, and all the buildings are built in traditional Tibetan style stonework. 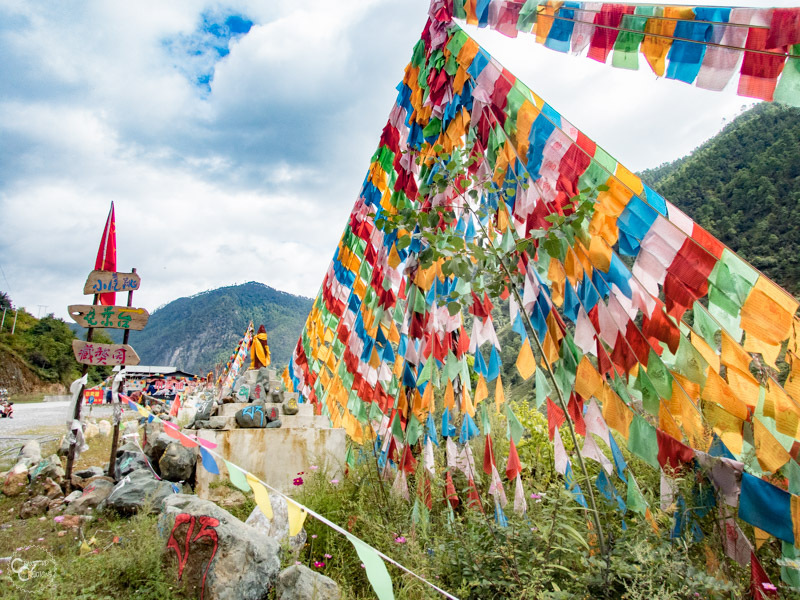 There’s a beautiful monastery right in the town square lined with prayer wheels and the hill at the entrance to town is decorated from top to bottom with colorful prayer flags. I still remember my first reaction upon being dropped off in town, “Wow, this place is beautiful!”. The Lhagang Monastery, also known as the Tagong Temple, is located on the right-hand side of the main square in town. Admission is free, although you might come across beggars looking for money at the entrance. It is not necessary to pay them, although if you want to, of course, you are welcome. 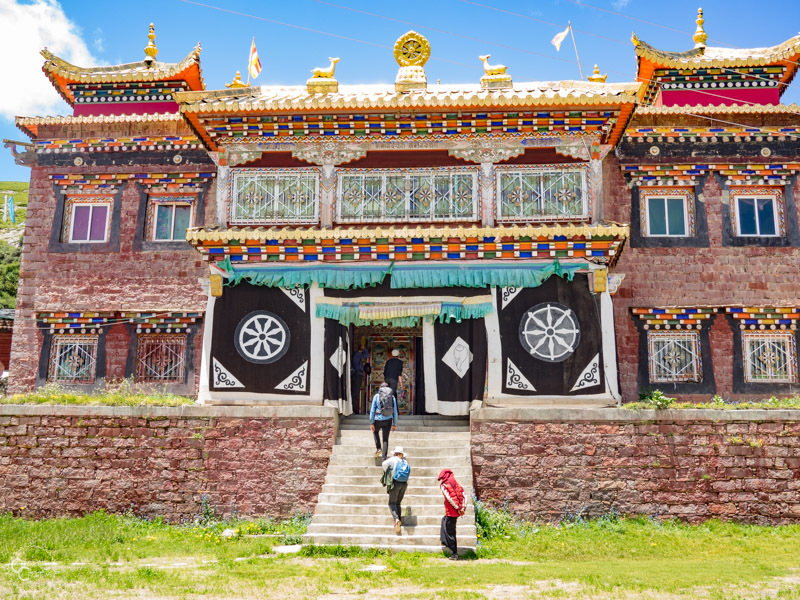 The Tagong Nunnery is a beautiful Tibetan Buddhist College located in the valley right behind Tagong Town. Hiking up the grassy hill behind town you will see the Nunnery in the valley below. There’s no specified trail, just walk across the grasslands. It takes 2-3 hours to walk to the Nunnery. 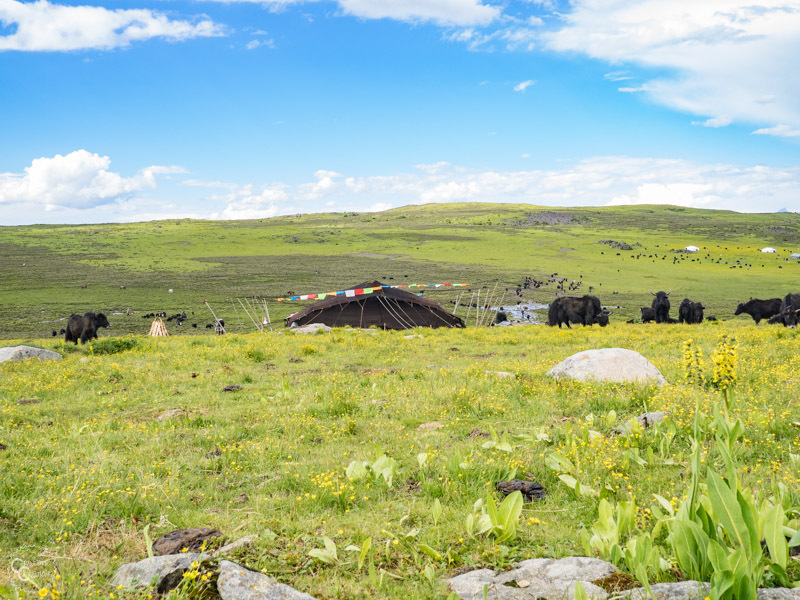 If you visit Tagong anytime from late spring to early fall you can hike to see the nomads and spend a night in a tent with one of the nomadic families. Nomadic Homestay hikes can be arranged through Angela from Khampa Nomad Ecolodge. Hiking to see the nomads on the high plateau takes around 4 hours. Longer trekking routes with a local guide can also be arranged if you have more time. 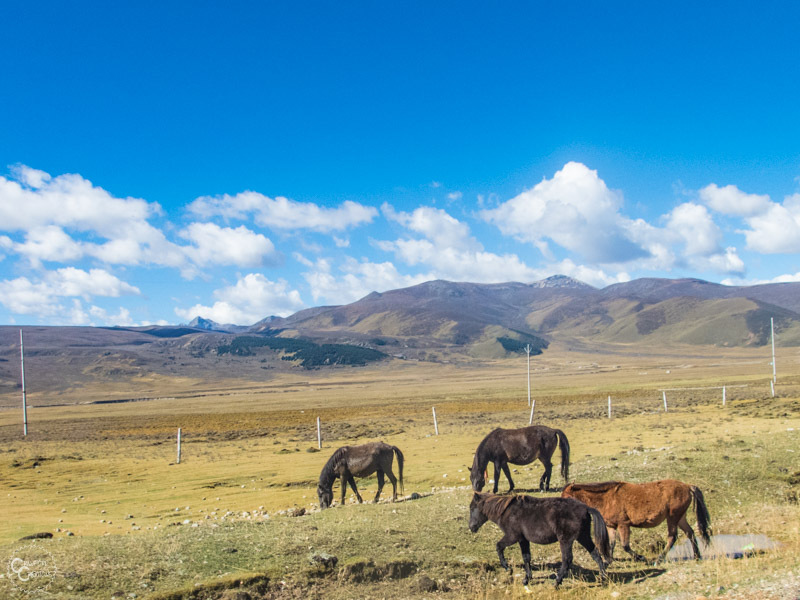 There’s no better way to experience true Tibetan nomadic culture than on horseback. 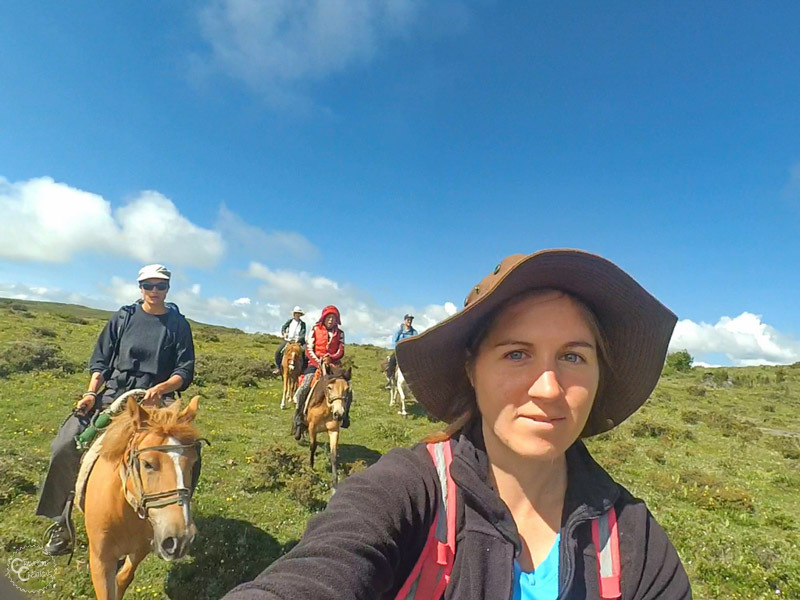 Horse treks can also be arranged through Angela from Khampa Nomad Ecolodge. You can go horse trekking anywhere from half a day to a week-long trip, but if you choose to spend the night camping with the nomads you can arrange with Angela to take the long way back to Tagong on horseback. The trek back from the high camps via horseback takes around 5-6 hours depending on how fast the horses go. Lunch is included. If you’re traveling in late June or early July you are in luck to catch the Tagong Horse Festival. 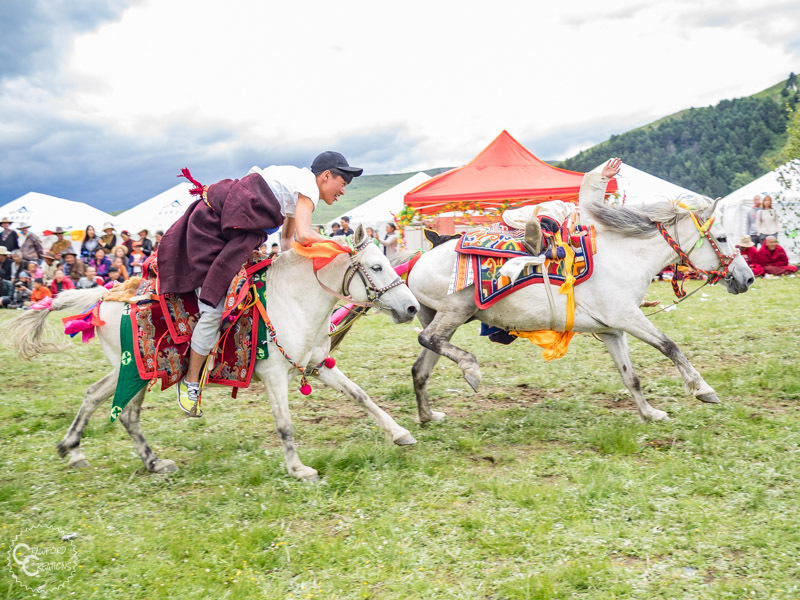 The Horse Festival occurs every year on the 15th day of the 5th month of the Tibetan Lunar Calendar. The festival is the biggest event of the year in Tagong. All the locals come out and set up tents along the field with food and drinks. Everyone dresses up, horses included, for two days of horse races and games. It’s such a fun time, and a really fun event to watch. Click here for a detailed guide to attending the Tagong Horse Festival. Stay overnight either in a nomad tent or in Tagong town. Spend the morning either trekking back to Tagong from your nomad homestay or just exploring more of the surrounding countryside. In the afternoon, make your way to your next city of Kangding. 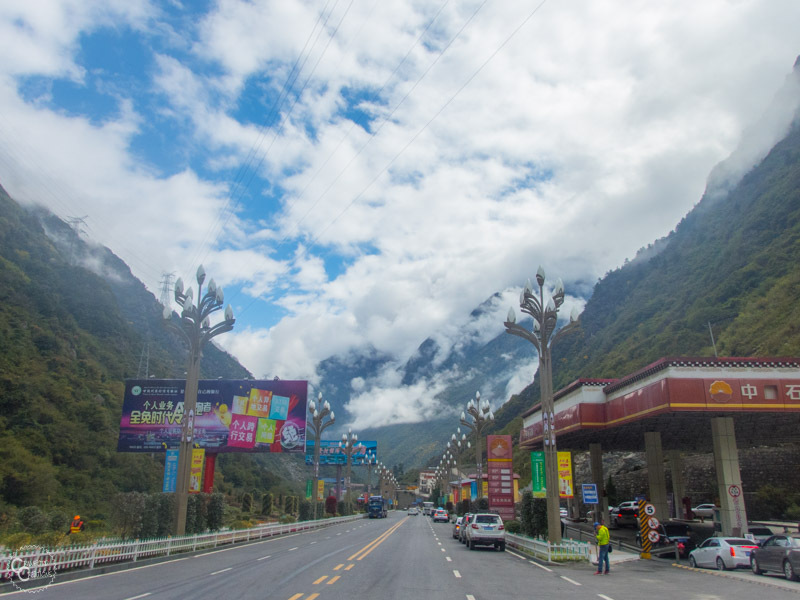 Take a minivan or hire a car from the town square to Kangding. A full shared minivan will cost 25 RMB per person and the ride lasts 2 hours. Kangding is a half Chinese half Tibetan occupied city that is considered a gateway city to Tibet. The drive here takes you down off of the Tibetan Plateau, but still in the mountains. There’s really not much to do in Kangding itself, so we’ll skip exploring Kangding and move on to Ya’an. There are 5 buses per day that run from Kangding to Ya’an with the last bus leaving at 2:30 pm. Buy a ticket from the Kangding Bus Station for 73 RMB per person. The ride takes 5 hours. Once you get to Ya’an you are back in a normal Han Chinese city and will have to say goodbye to the beautiful Tibetan style architecture. Ya’an is not a particularly pretty or nice city in itself, but it is the base for tomorrow’s activity, visiting the Bifengxia Panda Base. The Bifengxia Panda Base is one of the largest and prettiest panda bases in China. It’s set up in the mountains in the middle of a nature reserve with a gorge, beautiful forest, and numerous waterfalls around the base. From Ya’an city, there are minibuses parked just outside of the Ya’an Tourist Bus Station waiting to take tourists to Bifengxia. The buses are marked only in Chinese, but if you walk up and ask for Bifengxia one of the drivers will point to which van you need to get in. A minibus ride 18 kilometers to Bifengxia costs 5 RMB per person. 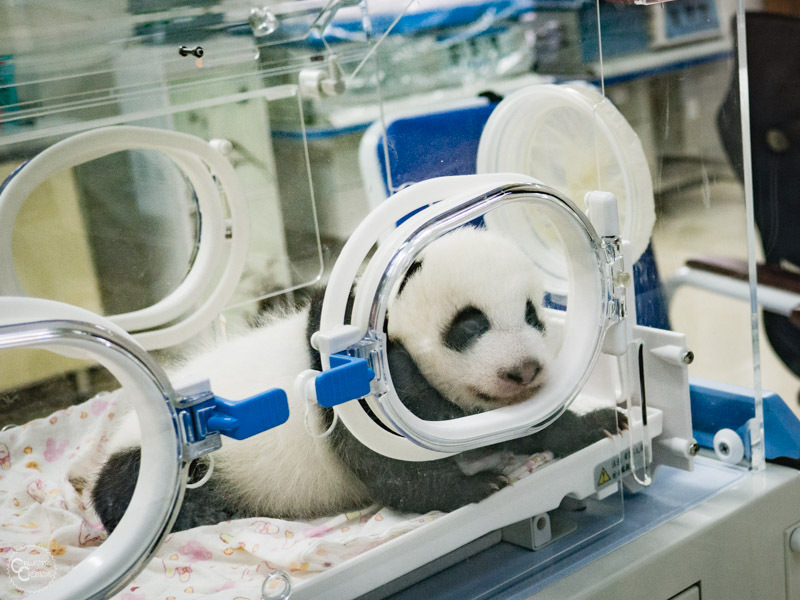 The Bifengxia Panda Base is home to pandas of all ages from babies to adults. They have a panda nursery enclosure, a panda kindergarten enclosure, and various other enclosures for the adults. Each enclosure holds 2-4 pandas. While zoos in China can be pretty sketchy and lacking inhumane living conditions for the animals, Bifengxia Panda Base is extremely reputable and well done. All the pandas here have huge outdoor enclosures with trees to climb as well as man-made panda playgrounds and shelter plus all the bamboo they can eat. All the pandas there look happy and very well cared for. If you’ve never seen pandas in person before you’re in for a real treat. They are not only super cute, but they’re so entertaining to watch, especially when you see them climb trees, walk and even fall asleep on the tiniest of branches. How they can get comfortable up there and sleep without falling out of the tree is truly amazing. Tickets to the Bifengxia Panda Base cost 118 RMB per person. Click here for more info about the best places to see pandas in China. Included in your ticket to the panda base is entrance to the Bifengxia Gorge. You need to hike the gorge. Bifengxia gorge is an absolutely beautiful 2 hour hike through the forest surrounded by creeks and waterfalls. Besides getting into and out of the gorge, once you get to the bottom the hike itself is flat. You can either hike through the gorge to the panda base by taking the elevator down into the gorge and then walking up the stairs to the panda base or hike from the panda base through the gorge to the elevator by walking down the stairs into the gorge at the back of the panda base and taking the elevator up. In addition to the panda base, there is also a zoo at Bifengxia located right next door. You will need to buy a separate ticket to visit the zoo, but it’s probably the most unique zoo I’ve ever been to. Contrary to most zoos in China, the Bifengxia Zoo was actually really nice. The zoo has a safari section with a couple of tigers and bears, a petting zoo section with llamas and deer, and a bird enclosure where you can walk through and get up close and personal with the birds as well as normal zoo enclosures. All of the enclosures that allow people up close interaction with the animals are staffed with zoo employees to ensure human and animal safety. The entire zoo is built outside so it feels more like walking through a park than a traditional zoo. Most of the animals are not behind glass, but in outdoor enclosures with an indoor shelter they can use if they want. Honestly though, the panda base is way cooler, so if you’re looking to keep the price down I would skip the zoo and just visit the panda base and the gorge. Once you’re done in Bifengxia, catch the same minibus from the parking lot back to the tourist bus station in Ya’an. Buy a bus ticket to Chengdu from the Tourist Bus Station in Ya’an. Buses leave the Ya’an tourist bus station heading to Chengdu every hour, with the last bus departing at 6:30 pm. The ride takes 2 hours. If you have the time, take today to explore the city of Chengdu before ending your trip. 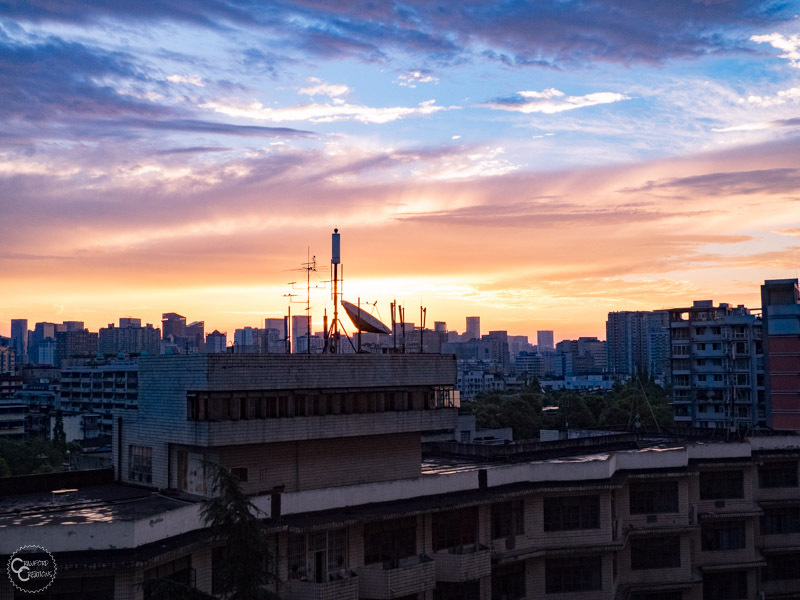 Chengdu is the 6th largest city in China and there’s a ton of cool things to do here. 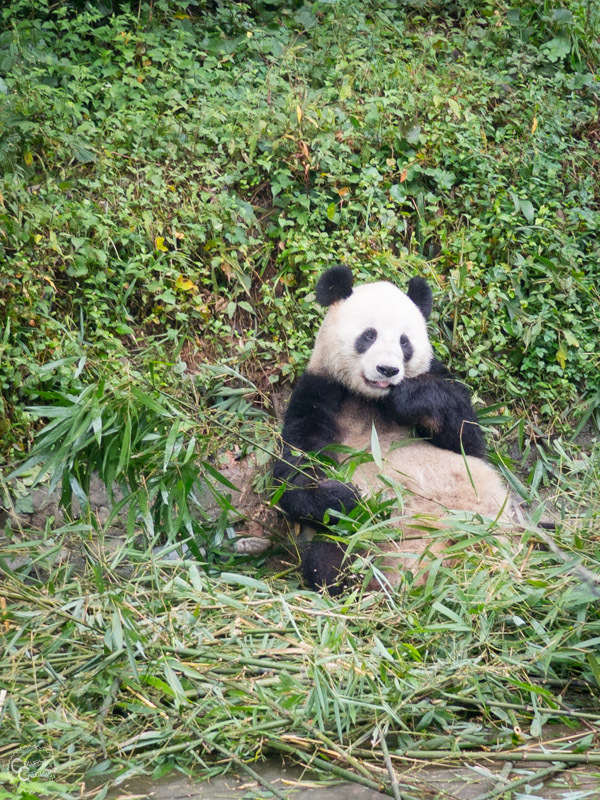 If you’re like me and you can never get enough pandas, head over to the Chengdu Panda Base. Get there first thing in the morning to catch feeding time and see the pandas when they’re most active. Wenshu Temple is Chengdu’s largest and best preserved Buddhist temple. Originally built in the Tang Dynasty this place is rich with history, culture, and beautiful architecture. It is still an active temple to this day so be respectful of the people worshiping while you’re there. Wuhou Temple is another beautiful Buddhist temple right in the middle of Chengdu. This one is no longer an active temple, but it’s still great to walk through the temple and surrounding gardens. 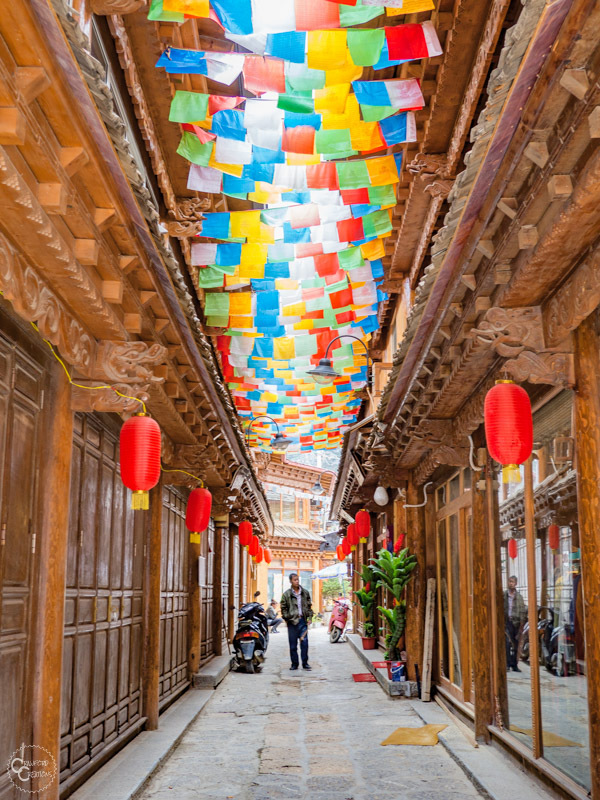 Jinli Pedestrian Street is a 2000 year old walking street located in what is now Chengdu’s Tibetan Quarters. If you like street food, souvenir shops and beautifully decorated streets and buildings then you should definitely check out Jinli Pedestrian Street. The Tibetan Quarter is a section of Chengdu with Tibetan style buildings, shops, and restaurants. It is the place to go for a Tibetan meal and to explore a different side of the city. If you only have one day in Chengdu you will lose your entire day on this trip, but honestly, it is so totally worth it. If you could only do one thing in Chengdu, this would be my recommendation for sure, even though it’s not actually in Chengdu! The Leshan Giant Buddha is the largest Buddha statue in the world. The statue is 70 meters tall and is carved out the cliff face of a mountain outside of the city of Leshan. The Giant Buddha is actually part of a larger park full of huge Buddha’s, some of which look to be almost as tall as the famed Giant Buddha. 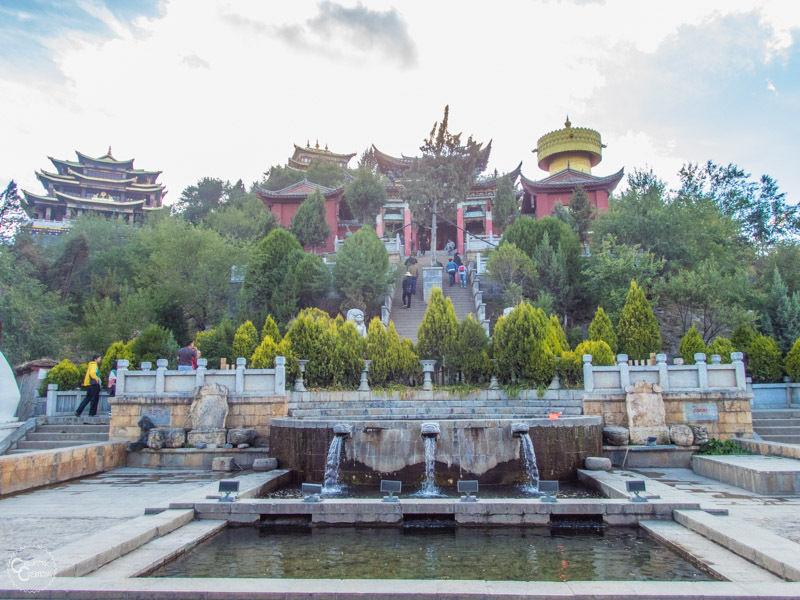 The park is made up of a series of caves all of which have massive rooms full of giant Buddha statues carved from the walls and over incredible Buddhist statues and carvings. The entire park is truly incredible and definitely worth the day trip from Chengdu. To get there, take a bus from the Chengdu South Bus Station (Xinnanmen). The ride takes 2.5 hours. 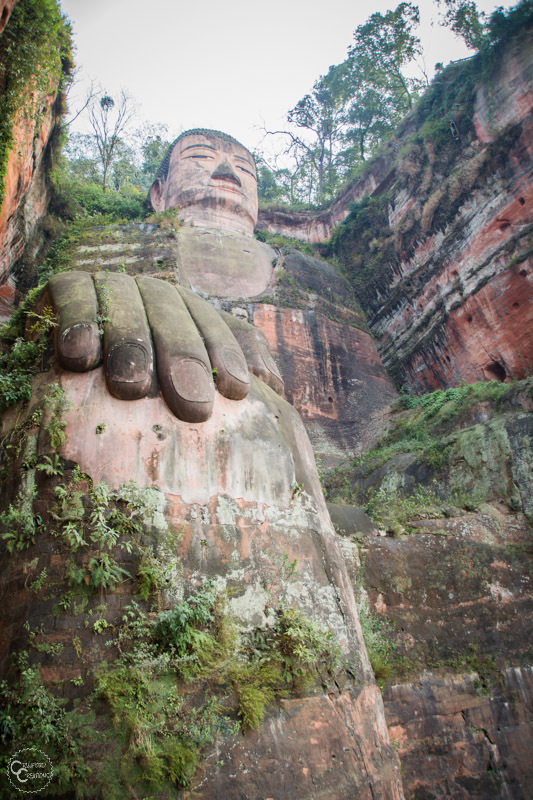 Click here for more info about visiting the incredible Leshan Giant Buddha. Take a taxi or bus to the airport and say goodbye to Tibet (for now).